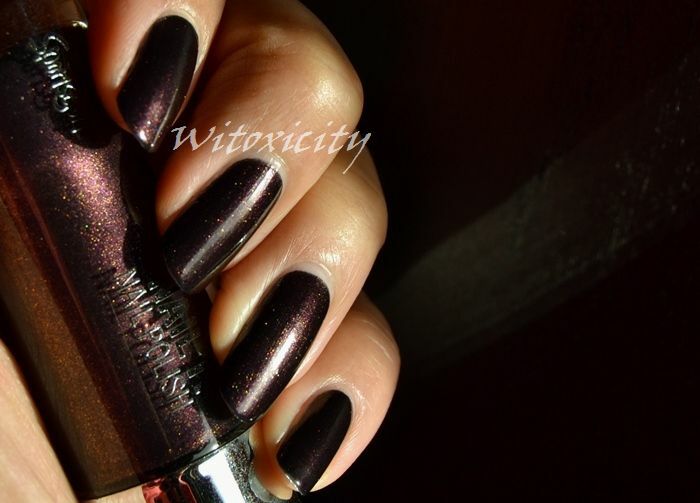 If you are like me and you love dark nail colours, then I think you would know how I feel about this polish: instant love! 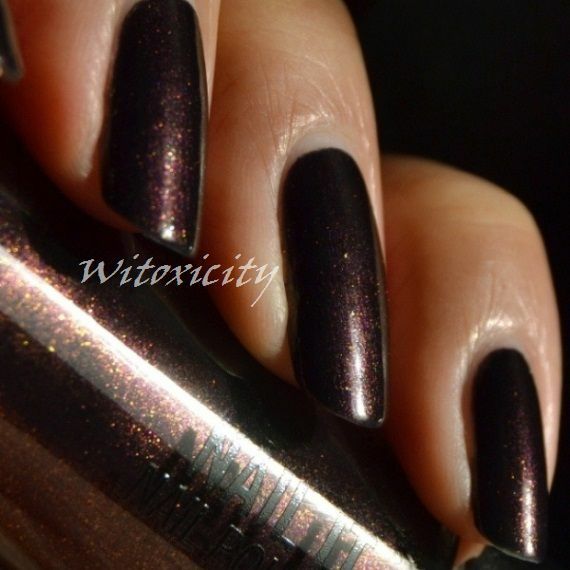 Sure, it lacks the pretty, whimsical flakies that we so love, but its busy, dizzy (mainly) golden shimmers floating in burgundy-black polish more than make up for it. 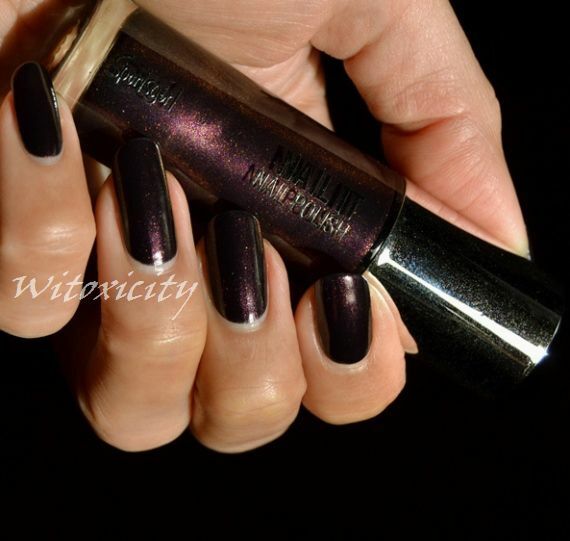 This is a polish from Australian brand Sportsgirl which my dear friend, Danielle, sent me in a swap we did ages ago. 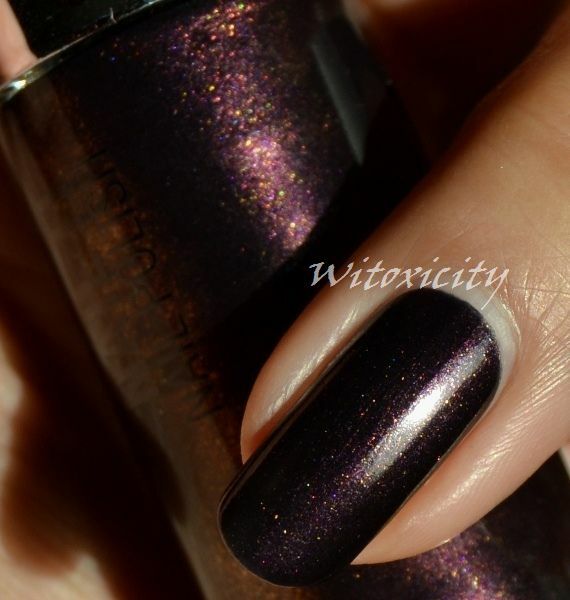 Another polish that she got me - Sportsgirl Purple Rain - is also a beauty. Sportsgirl Nail It Galaxy applied like a dream and I have two coats on here. I love the slim, cylindrical 3.5" tall bottle. It's different! Unfortunately, the Sportsgirl Nail It nail polish collection and the bottle design look different now, according to the Sportsgirl website. Really? That polish is Sportsgirl? I'm surprised...! Very vampy. I do have a soft spot for dark nails too. This color is aboslutely gorgeous ! I love the richness of it. Such a deep and interesting color!! That color is divine! Shame I can never seem to pull these dark colors off. T_T And you have the longest nail bed of anyone I know. Perfect for NOTD's! !